The following analysis has been updated to reflect final regulations for the Arizona Paid Sick and Safe Leave (Arizona Fair Wages and Healthy Families Act). Oregon Paid Sick and Safe Leave now reflects amendments made by Permanent Rule BLI1-2018. Pending Legislation has been discontinued and will no longer be updated. Oregon Paid Sick and Safe Leave now reflects clarifications to the law made by 2017 OR SB 299. 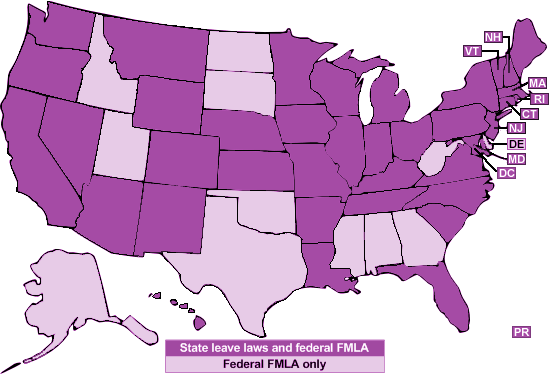 California Paid Family Leave now reflects edits to the law, including the elimination of the 7-day waiting period pursuant to 2016 CA AB 908. On July 10, the Governor of Hawaii signed House Bill 213, which expands the existing Hawaii Family Leave Law. The new law, effective immediately, adds siblings to the list of covered family members with a serious health condition for whom an employee may take leave to provide care.